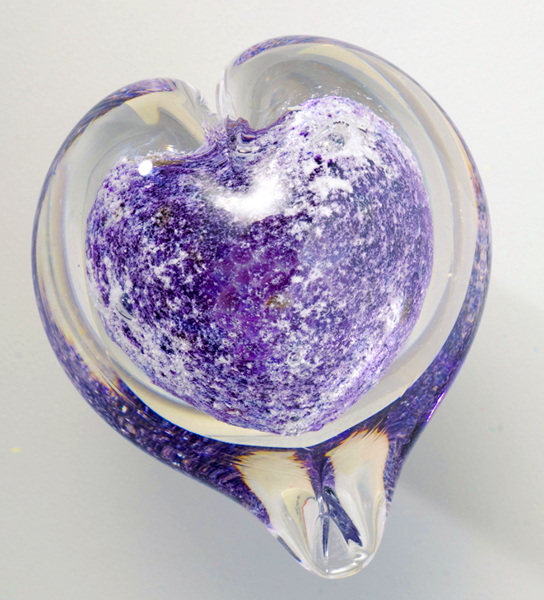 The Boundless Heart is available in jewel tones ruby red, amber yellow, emerald green, cobalt blue and amethyst purple. 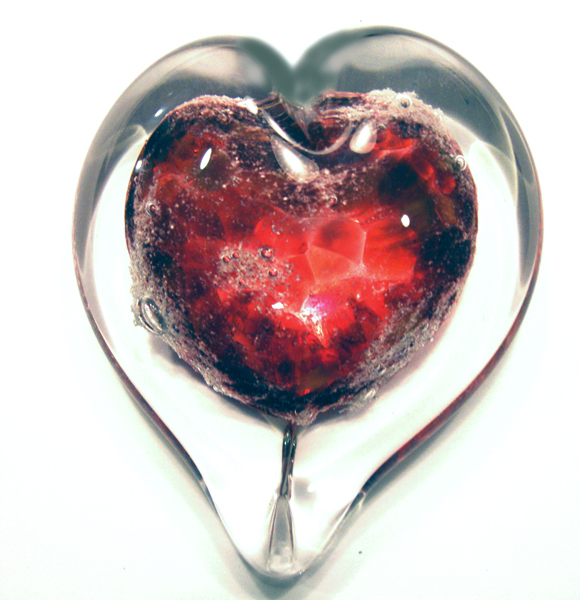 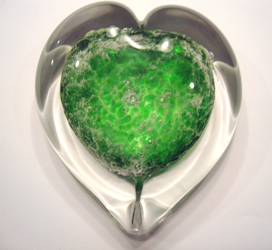 Ashes are encased in the center of the heart in your choice of colored glass. Additional fee applies for etching of up to 20 characters.